This is a traditional Swedish cold sauce which is served as a side on the midsummer buffet table. It’s perfect with just harvested, gently boiled with skin-still-on-potatoes. 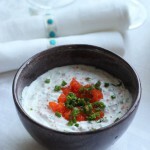 Add creme fraiche to a bowl. Add dill, chives, seaweed caviar and onion. 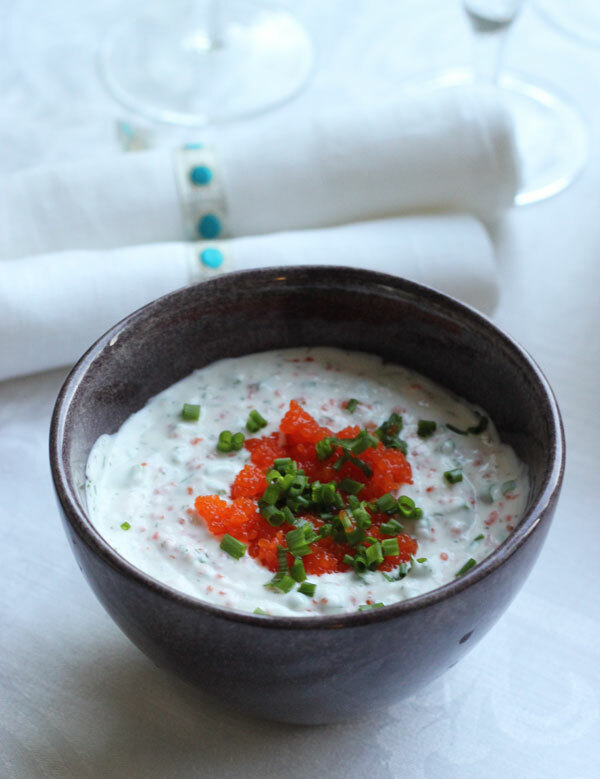 Decorate with additional seaweed caviar and finely chopped chives prior to serving.